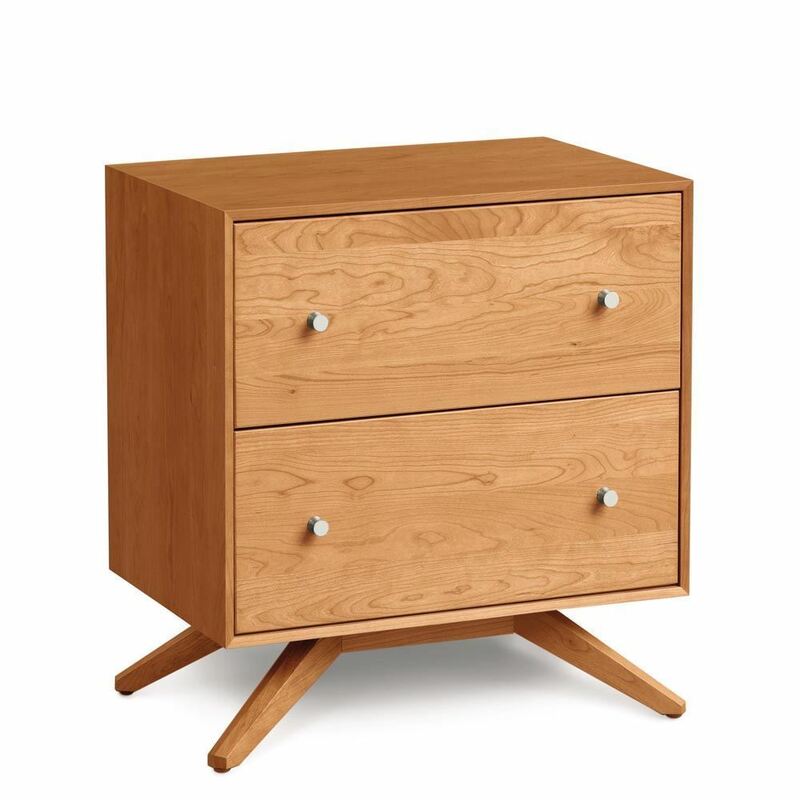 The Astrid Finished Cherry Two Drawer Nightstand, by Copeland Furniture. Featuring deeply splayed legs and recessed plinth base design. Crafted in solid natural cherry. The drawers are made in solid hardwood as well, and feature dove tail joints in addition to soft closing drawer glides. 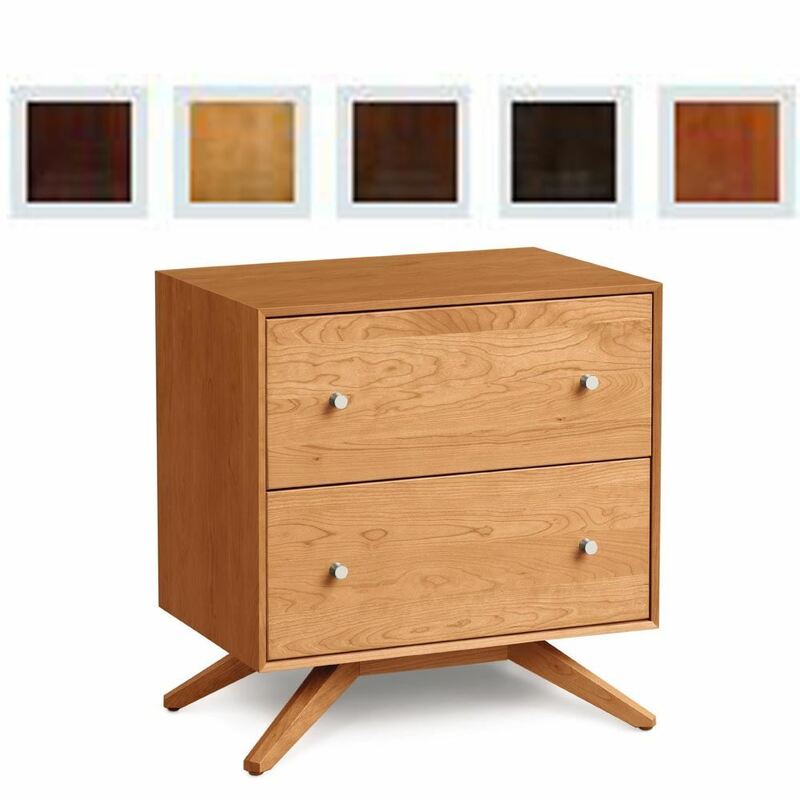 Astrid is a tremendous statement design by Copeland Furniture. Please see below for finish choices. 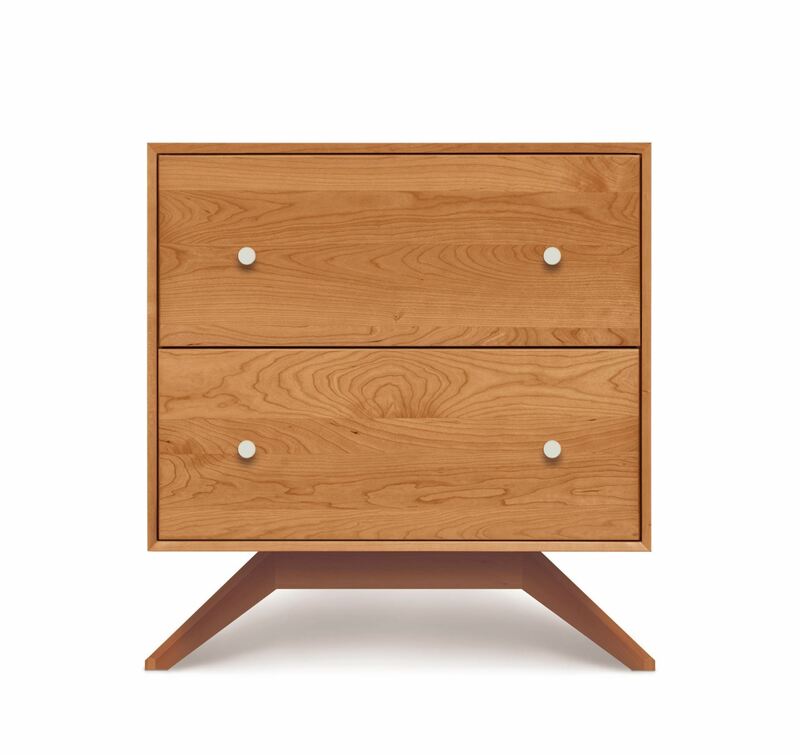 The Astrid Bedroom is crafted in solid cherry hardwood. Copeland finishes are GREENGUARD CERTIFIED. for low chemical emissions.